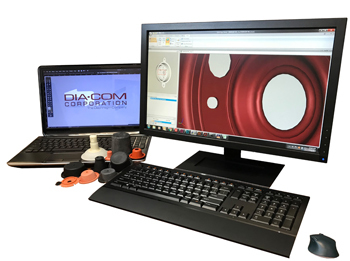 DiaCom Design Engineers routinely work with our customer engineering personnel to transform application concepts first into fully functioning prototypes and ultimately, into production units. Our experience and background allow us to cost-effectively provide a diaphragm that meets or exceeds all customers' diaphragm expectations. Using AutoCad SE10 drafting software, we are able to communicate electronically with our customers to accelerate the design process. Existing diaphragm applications sometimes do not perform as well as intended. Our technical staff is available as an aid to our customers to analyze performance issues, offer hardware recommendations, and to assist in root cause analysis and the implementation of permanent corrective actions. DiaCom has developed a Diaphragm Design Guidebook that can be used to assist engineers in the basics of diaphragm design. Our Diaphragm Design Guidebook is a complete, hard-copy description of diaphragm theory, diaphragm design, basic materials properties, hardware recommendations and standard tooling lists. The Diaphragm Design Guidebook is available at no charge and can be found here: http://www.diacom.com/pdf/DiaCom-Design-Guidebook-rev4v9.pdf. 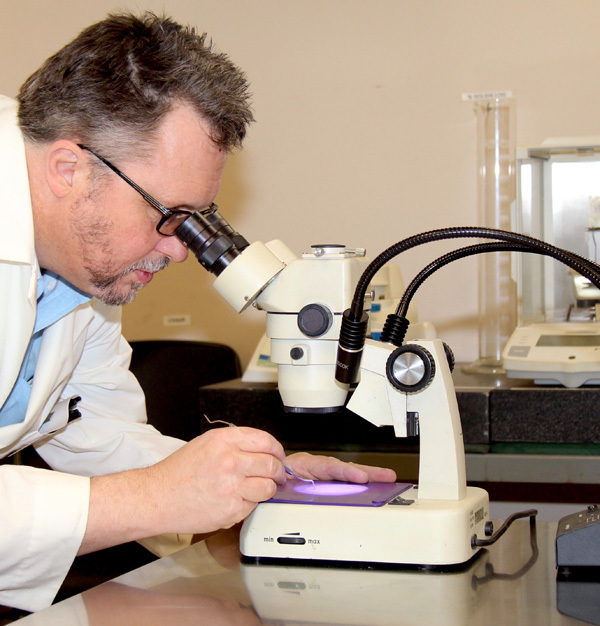 Constantly striving to improve existing applications, meet the demands of new programs, and troubleshoot application issues, DiaCom has established a Rubber Materials Lab that gives us significant rubber-testing capabilities. Using ASTM standard procedures, we are able to obtain measure physical properties, such as, tensile strength, elongation, modulus, durometer, tear strength, compression set, and rheology data, such as, viscosity, cure times, scorch data, etc. We are also capable of running a variety of chemical compatibility testing, heat aging, volume swells, etc. using ASTM standard testing procedures, and we can run customer-specific tests. Part of our Materials Lab is a 16"(406 mm) 2-roll mill that gives us an in-house mixing capability that allows us to deliver new, custom rubber compound formulations. Combining this test capability with our technical expertise allows us to provide materials that meet customer specifications, ASTM material call-out and other certification bodies, such as UL or NSF. Diacom has the capability to design and build all tooling associated with manufacturing our composite seals. Having an in-house machine shop allows us the flexibility to rapidly sample new design concepts and make quick changes as required. This capability also reduces the costs of our tooling.